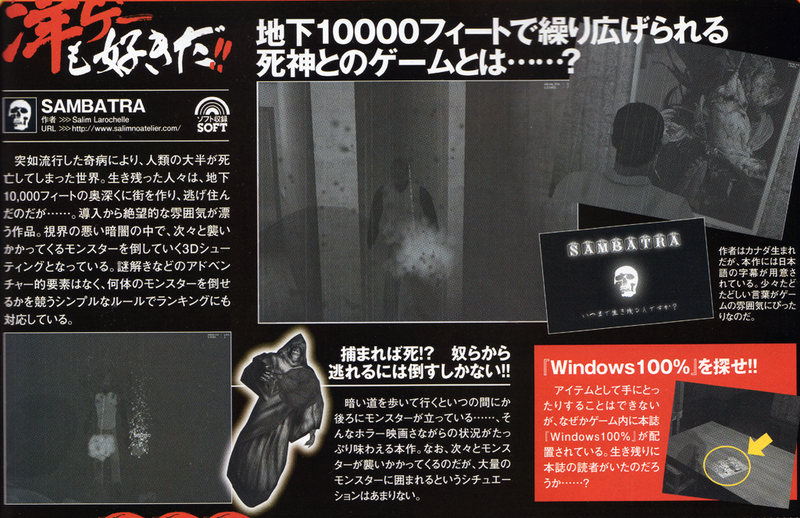 My old survival horror game featured on Windows 100% in Japan! Back in 2008, I made a survival horror game called Sambatra. It was in black and white and was played from a 3rd person perspective. The game helped me get a level designer job at Gameloft and taught me a lot about making games in 3D. 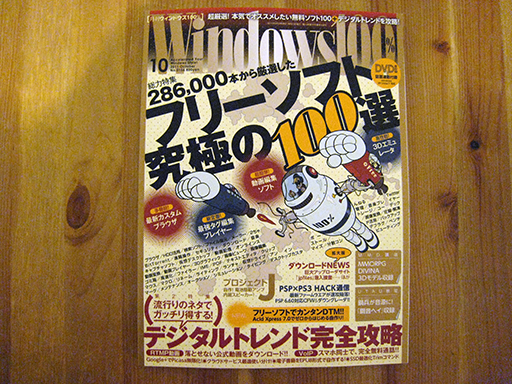 Recently, the Japanese magazine Windows 100% came across my game and decided to talk about it in their September issue. Thank you Windows 100%! This entry was posted in Daily Life on September 19, 2011 by Salim.